Thank you for taking the time to visit our website. We specialize in assisting buyers and sellers within the Greater Austin Metropolitan Area. 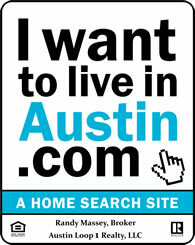 This website contains ALL of the Active MLS listings from ALL of the Licensed Real Estate Agents registered with the Austin Board of Realtors in addition to Williamson and Hays Counties, so there's no need to look anywhere else for your next home within the Metropolitan Area including the communities of Westlake. Dripping Springs, Lake Travis, Bee Cave, Spicewood, Leander, Cedar Park, Pflugerville, Georgetown, Round Rock, Hutto, Kyle, Buda and Others. Free to use. We respect your privacy and confidentiality.